What Is an OSHA Recordable Work-Related Injury or Illness? If a worker is injured or becomes ill at work, the employer will often have to record the incident as a “work-related injury or illness” on OSHA’s Form 301, Injury and Illness Report, and OSHA’s Form 300, Log of Work-Related Injuries and Illnesses. In this article, we’ll explain to you exactly what a recordable injury or illness is and which establishments have to do the recording. What’s an OSHA Recordable Injury or Illness? Which Employers Must Record These Injuries and Illnesses? The short answer is that generally, if you employ more than 10 employees and are not in an OSHA-specified low-risk industry, you probably need to do this. … as required by § 1904.39, all employers covered by the OSH Act must report to OSHA any workplace incident that results in a fatality or the hospitalization of three or more employees. And there’s a second exception for employers in certain low-risk industries (see OSHA’s list of exempt low-risk industries here). But again, there’s an exception to the exception, this time spelled out in 1904.2. … all employers must report to OSHA any workplace incident that results in an employee’s fatality, inpatient hospitalization, amputation, or loss of an eye (see § 1904.39). You must consider an injury or illness to be work-related if an event or exposure in the work environment either caused or contributed to the resulting condition or significantly aggravated a pre-existing injury or illness. Work-relatedness is presumed for injuries and illnesses resulting from events or exposures occurring in the work environment, unless an exception in §1904.5(b)(2) specifically applies. 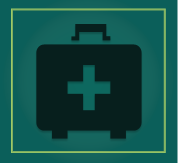 What Does OSHA Consider to Be “First Aid” In Terms of Recordable Injuries and Illnesses? What Does It Mean to “Record” an Injury or Illness? Recording workplace injuries and illnesses means to create an entry on OSHA Forms 300, 300A, and/or 301. You must keep these records at the worksite for at least 5 years, and you must post a summary of injuries and illnesses recorded the previous year every February through April. For more information, you can also read the OSHA Recordkeeping regulation, 29 CFR 1904. Reporting is different than recording. Reporting is turning over injury and illness information to OSHA. Reporting is covered in the articles linked above, but while you’re here, you should know that there’s a requirement to quickly report to OSHA fatalities and severe injuries. For more information, we again refer you to the three “forms” articles above and/or the the OSHA Recordkeeping regulation, 29 CFR 1904. You may also know that OSHA has a new online submission process for reporting injury and illness data. The first deadline for this is (or soon was will be the correct term) December 15, 2017, when some establishments will have to submit their 2016 OSHA Forms 300A. That links tells you more about this first official deadline. Can Convergence Training Help Me Keep Track of My OSHA Recordables, Create OSHA Recordkeeping Forms, and Report to OSHA? Sure. We’ve got two great tools to help you with this. The first is our Incident Management Software, or IMS. The second is our online training course on OSHA Recordkeeping. The Convergence Incident Management Software allows people at your site to report an injury, illness, near miss, or property damage incident. It then includes features for gathering necessary information to perform an incident investigation, to correct the problem, and to generate all appropriate OSHA recordkeeping and reporting forms. At the end of the year, it can even make an online submission of your injury and illness data to OSHA’s website for you. The short video below explains it in more detail. We hope this article gave you some helpful information about OSHA recordables. And let us know if we can help you with OSHA injury and illness and recordkeeping and reporting needs. Good luck with this, be safe at work, and let us know if you have any questions. And don’t forget to download the FREE GUIDE TO CONDUCTING INVESTIGATION INVESTIGATIONS, of course. 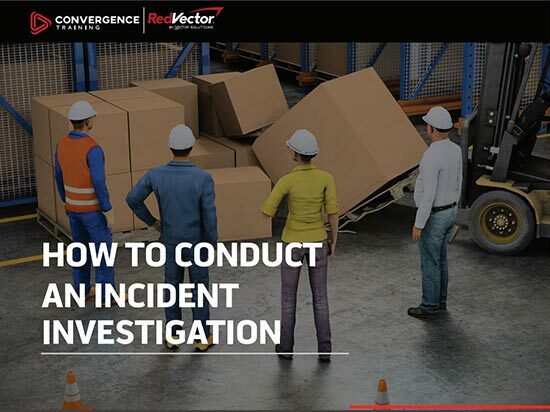 Everything you need to know to conduct an incident investigation after an injury, illness, or near miss at your worksite. Plan in advance and be ready when the incident occurs.